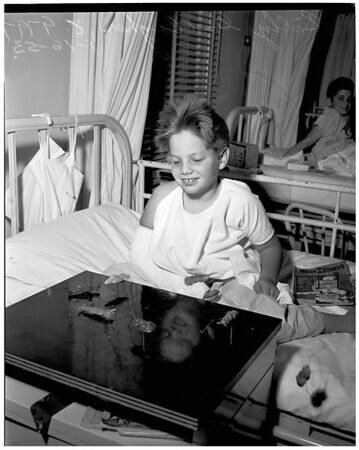 Supplementary material reads: "Billy Gallagher, 8 years old, Orthopaedic Ward, Children's Hospital. #180 -- Examiner exclusive. #248 (n.g.)."